Rei is the kind of dragon who likes to have the last laugh/cough. 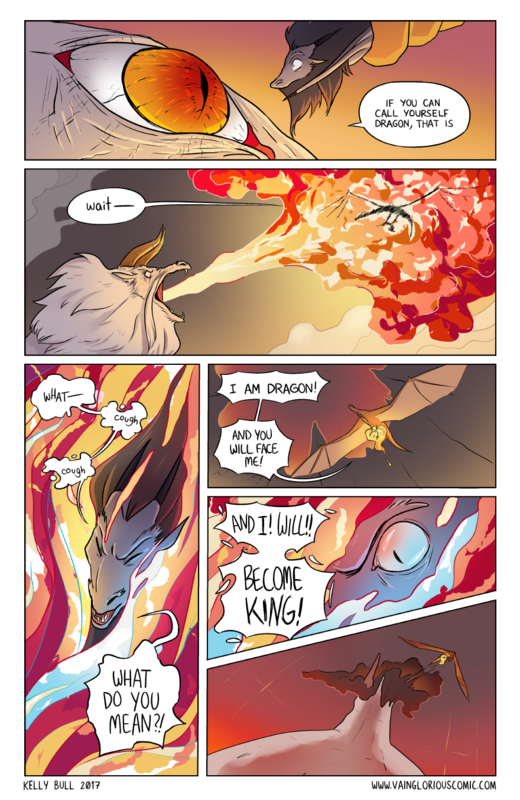 Drawing this page was so exciting (actually, drawing most pages this chapter was super exciting) but finally being able to draw the Queen breathing fire was incredible. Also, by some miracle I shaded the fire in panel 2 and it looked so amazing I panicked and rushed the rest of the fires for this chapter in case I forgot how to do it. But joke's on me because I did it so quickly I can't really remember how I drew it - so please, enjoy these beautiful flames while they lasts. As always, thank you for reading and commenting! I'll see you next Monday!